After dining on some little bites at Grapes and Soda, Viv and I decided to head elsewhere for dessert. That elsewhere lay only a short walk around the corner on Granville. Ah yes, time to relive our youth (specifically our University years) at Cheesecake Etc. Man, this was a regular hangout in the mid-to-late 90's where we could get our cake and eat it too. Many good memories here. I guess there are many others making new memories since they have expanded several times over the years. Onto the cheesecake, they do bake them here, yet at the same time, they are super light and easy to finish. On that note, we each got our own where Viv went for the Cheesecake with Blueberries. As mentioned, this baked cheesecake was super light and airy. Easy on the sugar while exhibiting a mild cream cheesiness, the slightly sweet blueberry sauce provided a nice balance of flavours. 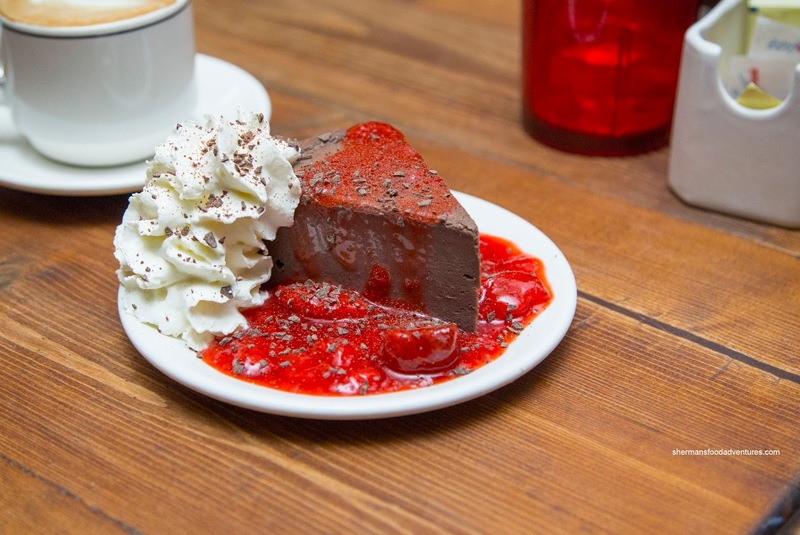 For myself, I had the Chocolate Cheesecake with Strawberries. As sweet as the concoction appeared, it really wasn't. There was a slight bitterness to the cake thanks to the conservative sugar content. It wasn't particularly chocolaty, but decent nonetheless. After our meal at Farmer's Apprentice a week later, we still had an appetite for 2nd dessert. So we rounded the corner once more and shared the Mandarin Orange and Chocolate Cheesecake. Again, the visuals suggested super sweet, but it wasn't. 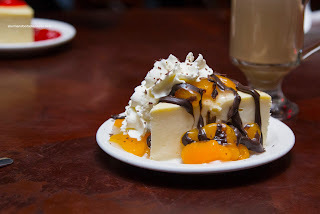 In fact, the chocolate on top was not sugary at all. By virtue of the orange slices, the cake almost ate lighter. 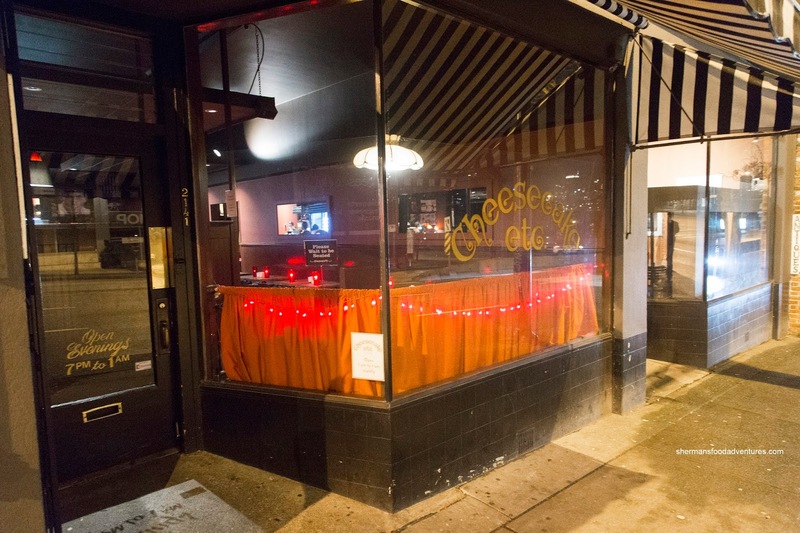 Both Costanza and Elaine had the classic Cheesecake with Strawberries. 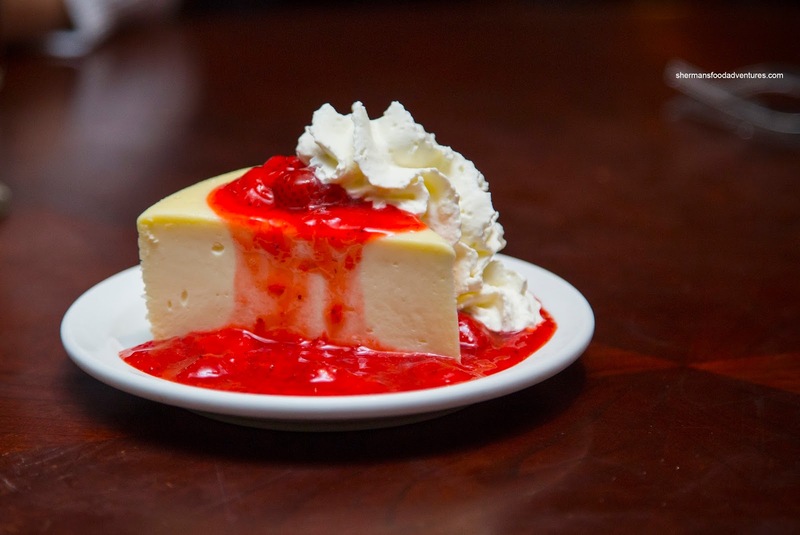 Now everything that needed to be said about the cheesecake has been said. However, the strawberries (much like the one with my chocolate cheesecake) was too saucy. Nothing wrong taste wise with a balance of sweet and tangy, but just not enough chunks of strawberries. 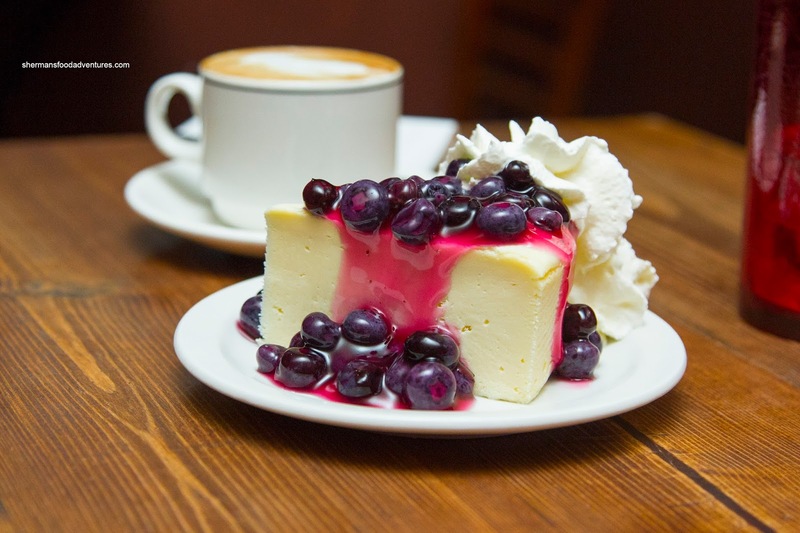 Whatever the case, if you have a hankering for cheesecake in Vancouver, this is a good bet.